I was looking for info about the ocean and I found your site about Rogue Wave. Not quite what I was looking for, but I decided to listen to the Mp3. Nice Suggestion! most of our fans come here looking for info on oceans actually. you are awesome!! thanks for the mp3... yeah i also heard the song on Heroes and my friend asked who it was and i thought "it definitely sounds like rogue wave" but i couldn't place it from their previous albums... so, good to have it confirmed. Thank you so very much for this song. I was looking everywhere for it. It's just one of these songs you have to play over and over again. what's a guy gotta do to get an account and be able to download this tune? Yeaa, how do you download it!? this is really good song! and nice to meet your blog. i love this song. check out acoustic RW performances on kyte. 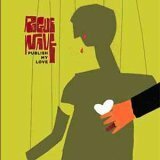 kyte.com/roguewave or myspace.com/roguewave. they do a new one from on tour every couple of days. Its so Nice of u to put the songs for download .. But I Just cannot download it ..tried so many times ..
Would u be kind enough to mail me the file on - neety.rai@gmail.com.